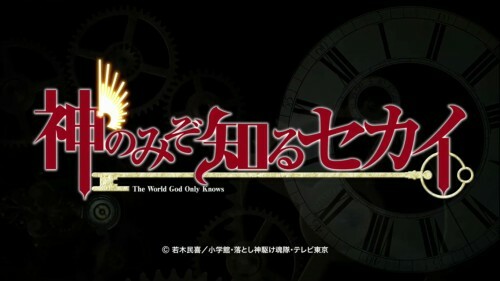 With the premise of a dating sim-addicted nerd tasked to woo real women in order to exorcise loose demon souls from them by using his wealth of game-derived “knowledge,” The World God Only Knows is the kind of anime that can very easily go wrong. Initially, I approached the series with some wariness, but after having finished the first season I found myself immediately eagerly continuing with the second one. Overall, I ended up being reasonably impressed by The World God Only Knows and it hinges on one reason in particular. 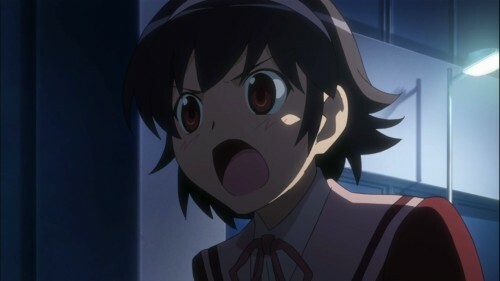 Given the concept of the series, it inevitably leads to a good number of female characters being introduced in order for the hero Keima to work his moves. In the case of The World God Only Knows, it also results in each girl having a particular problem that must be resolved in order Keima to win their heart, and the danger I felt was that it could potentially lead to the kind of series where a girl appears, Keima romances her and breaks the curse, and then her story is simply done, as if this romancing is the most important period of her life. Thankfully however, The World God Only Knows avoids that pitfall with grace and dignity. Certainly Keima does make the girls fall for him, but rather than end up feeling like a girl’s story is reaching its conclusion, it’s more like their story is only just beginning. Keima acts as a turning point in their lives, where they resolve some long-standing (or perhaps recent) issue and come out the better for it, their mental and emotional states refreshed. The entire world is open to them. Also, they forget about falling in love with Keima so he doesn’t end up having half a dozen girls chasing him at all times. Though perhaps The World God Only Knows could be called a visual novel-themed anime, it ends up behaving more like a healing anime. Showing the opportunities that can be available with some renewed perspective on life and the willingness to confront inner demons (no pun intended), The World God Only Knows maybe therapeutic to not only its cast of characters but perhaps to the viewers as well. If you want to try it out, the entire thing is on Crunchyroll, and if you want more, keep in mind that it’s based on a manga.